Raymond H. Knuffman, 78, of Quincy, passed away at 4:25 am Monday (September 3, 2018) in Blessing Hospital. Born September 29, 1939 in Quincy, Ray was the son of Harry and Irene Welsh Knuffman. He married Pricilla "Pat" Howerton on August 31, 1963 in St. Francis Catholic Church. Pat and Ray had just recently celebrated 55 years of marriage. Ray was a member of Blessed Sacrament Catholic Church, a lifetime member of the South Side Boat Club and belonged to the Quincy University Water Bugs. Scouting was a big part of Ray's life. He was a member of the Order of the Arrow and received the Black Hawk District Award of Merit and the St. George Medal. He also served a Scout Master for Troop 34 at St. Mary Church. 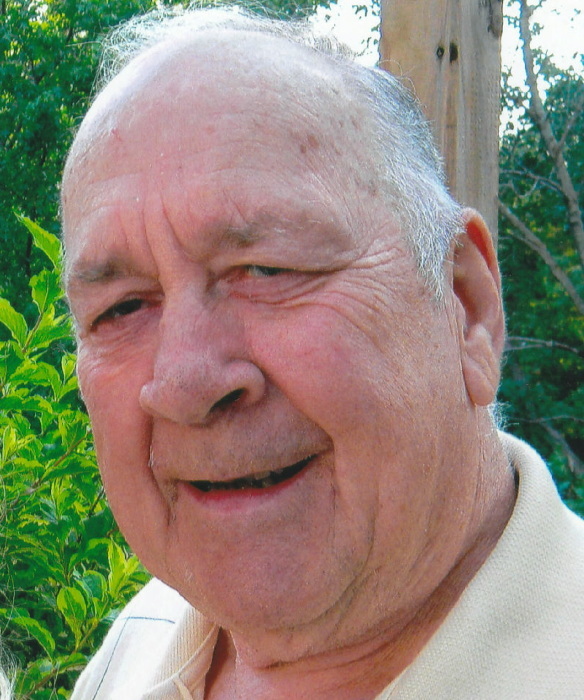 Ray was an avid woodworker and also gardened. Ray proudly served his country in the United States Air Force. He was a devoted husband and father to his family and loved attending family gatherings. Ray was first employed at Bueters Bakery for several years until its closing. He then worked at Prairie Farms Dairy as a Machinist for 23 years until his retirement. Survivors include his wife Pat of Quincy; his son, Dan Knuffman (Pam) of Quincy; two daughters, Tafi Lathrop (Sam) of Quincy and Cindy Milbert (Jerome) of Loraine, IL; seven grandchildren, Dustin Schild, Caleb Walker (Ally), Matthew Walker, Nate Hendrickson (Kelly), Nikki Knuffman, Greg Knuffman (Megan) and Ally Knuffman; five great grandchildren, Natalia Hendrickson, Claudia Hendrickson, Freyja Hendrickson, Adriee Rusher and Aidan Walker and one brother, Roger Knuffman (Phyllis) of Quincy. A cremation memorial service will be held Thursday morning at 11:00 in the Zehender Robinson Stormer Cookson Funeral Home with Reverend Christopher Comerford officiating. Visitation will be held Thursday morning from 9:00 until the time of services at 11:00 at the funeral home. Memorials may be made to the Blessed Sacrament Catholic Church.